When the settlor or creator of a Florida revocable or Florida irrevocable trust dies, the trustee, of the trust must file a Notice in the proper Florida court. The document is known as the “Notice of Trust” and this record alerts the court that the settlor has passed away and who the contact information of the trustee who will administer the trust. A Trustee of a Trust is required to the Notice of Trust because it is one of his or her administrative duties. Every trustee has certain duties, which include the "duty of loyalty" to the beneficiaries and a "duty to properly administer the trust" by Florida law. 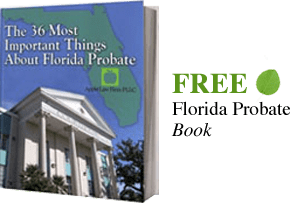 The Trustee can file the Notice of Trust on his or her own, but we recommend consulting a Jacksonville Probate Attorney because this notice requires certain information according to the Florida Trust Code. It is important that the trustee knows where to file the Notice of Trust, or else the notice will not be valid. Usually, the notice is filed with the court where the settlor lived. For instance, if the settlor has lived in Jacksonville, Florida her entire life then the Notice of Trust will be filed in the Duval County probate court. If the settlor lived in Ponte Vedra Beach, then the Notice of Trust will be filed in St. Johns Count. The Florida Trust Code states the notice may also be filed in the court that has jurisdiction over the settlor’s estate. A Probate or Jacksonville Estate planning attorney can help file the notice correctly. What Does the Notice Need to Contain? After the trustee determines where to file the notice, the next step for the trustee is to gather the necessary information the notice requires. The Florida Trust Code requires the Notice of Trust to contain several specific items to be valid. The laws regarding the Notice of Trust is found in Florida Statute 736.05055. The law states the notice must include the name of the settlor, the settlor’s date of death, the title of the trust, the date of the trust, and the name and address of the trustee. The Notice usually includes a clause that states the trust is liable for the expenses of the administration of the decedent’s estate and enforceable claims of the decedent’s creditors to the extent the decedent’s estate is insufficient to pay them, as provided in Section 733.607. In the same manner, as a caveat, the Clerk of Court must file and index the Notice of Trust unless there is a pending probate proceeding for the settlor’s estate. The Notice of Trust must be filed in the probate proceeding, if there is one pending, and the Clerk must send a copy to the Personal Representative of the estate. The Notice of Trust accomplishes many objectives. The primary purpose is for the trustee to alert the public to the existence of the trust, and for the trustee to give out basic information about the trust such as the trustee’s name and contact information. While the administration of a trust does not usually go through the court-supervised probate process, we still recommend our trust clients consult a Jacksonville estate planning attorney before filing this notice. Administering a trust is a complicated and important matter, which is why we recommend calling us today.